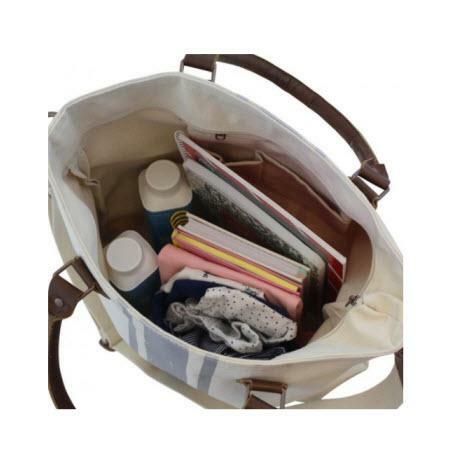 This is a great bag for your daily commute to work, traveling around campus, packing for an overnight trip, or as a carry on. 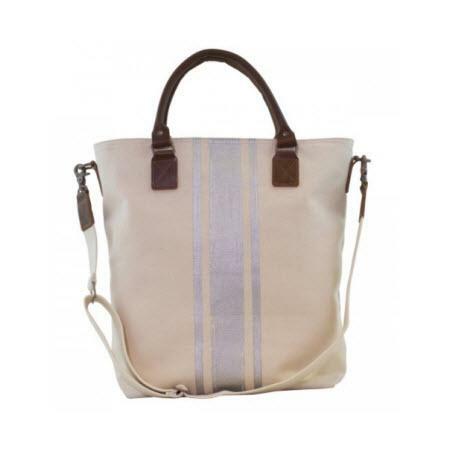 The Monogrammed Flight Shoulder Bag with Silver Stripes is made with heavy canvas which is designed to hold its shape and is a classic yet high end tote with some serious style. Inside you will find two small open pockets and a large zippered pocket perfect for your credit cards or passport. It also includes a zipper top closure, two leather durable handles and an adjustable and detachable shoulder strap with leather padding. Add your monogram with one, two, or three of your initials or name up to ten characters in your favorite embroidery font and thread color. Your coworkers will be envious of your new bag! Price: $95.00 In stock! - Browse this brandOur products are custom made to your specifications. This product ships up to 2 weeks after your order is placed.